Summary: History shows that the new industrial revolution just beginning will bring wonders, things often seemingly more like science fiction than practical technology. Here Stratfor looks at the hyperloop, a potentially transformative new transportation technology — if it works. At the end are links are posts about even more fantastic technologies. Following a recent visit to Elon Musk’s Tesla electric car factory in California, Indian Prime Minister Narendra Modi expressed interest in a less mature but potentially more groundbreaking idea: Hyperloop. Musk, the founder of companies such as SpaceX and Tesla, released an open-source proposal for the new mode of transportation in 2013. Essentially a levitating train car traveling through a tube in near vacuum conditions, Hyperloop technology could make in minutes trips that normally take hours. Redefinition of the Afghan issue in the region and India’s conflict with Pakistan could mean a greater role for Delhi in Kabul. A global conference this week in Brussels marks an important transition for the Afghanistan project — from international to the regional. Gathering a decade and a half after the American intervention in Afghanistan, nearly 70 countries and 25 international institutions will reaffirm, in a manner of speaking, their enduring commitment to the security and development of Afghanistan. There is a rider though. Amidst the exhaustion with the wars of intervention, buffeted by the massive refugee crisis and declining enthusiasm for writing regular cheques for Kabul, the rich countries are ready to redefine the burden of Afghan peace as a “regional responsibility” and setting conditions for further assistance to Kabul. The international military footprint has already come down from a high of 1,20,000 troops a few years ago to barely 10,000 now. This shift will have significant consequences for India. While benefiting from the international presence in Afghanistan since the ouster of the Taliban at the end of 2001, Delhi has tended to plough a lonely furrow. Its emphasis was on economic assistance. The Western countries, noting Pakistan’s objections, discouraged India from seeking a larger security role in Afghanistan. 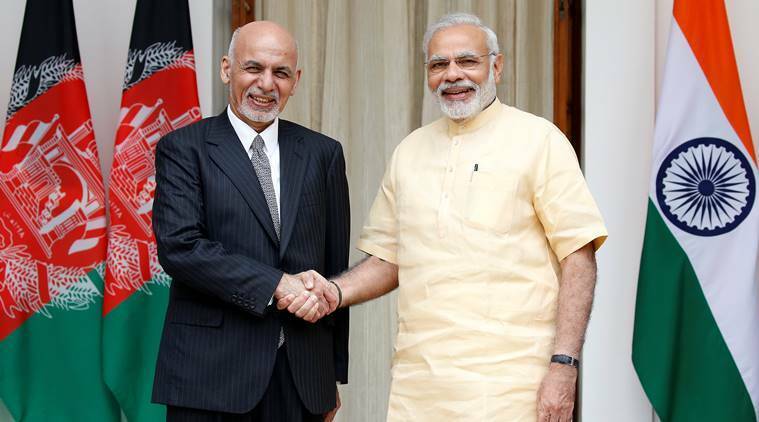 In the new and regional phase, India is bound to be drawn more deeply into the Afghan conflict. With India’s relations with Pakistan entering a period of turbulence, Afghanistan could acquire an unusual prominence in India’s regional strategy. 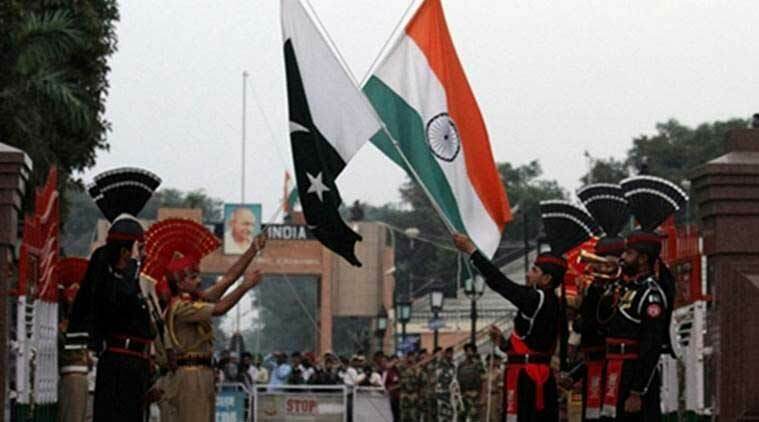 To find the way forward, India and Pakistan must first recognise the pull of history. India and Pakistan rest in the zone of uncertainty, their terminology makes war difficult but not impossible, risky but not calamitous. The origins of this Kashmir conflict rest in British policy. They withdrew from the subcontinent without a clear understanding of the consequences. Their strategic naiveté was mirrored in another dispute, the Middle East, where they left plenty of material for future UN sessions. They believed they could entrust the Northwest frontier to Pakistan, and, crossing their fingers, assumed there would be no other quarrel. Some leaders of the British Indian army, including Claude Auchinleck, thought otherwise, but did not reckon on Pakistan turning to a faulty Kashmir accession as a way out. The rest has been history. In Pakistan, the British general who took command deliberately constrained his forces until he was replaced by General Ayub Khan, who launched the 1965 war. The Indian decisions were made by a man — Jawaharlal Nehru — who did not believe in the use of force except in extreme urgency. He forgot that he had given Pakistan a critical issue, one that would toxically combine with the truth; he (but not Mahatma Gandhi) wanted to politely starve the Pakistanis into submission. The Maldives is a thousand-island nation 1,350 miles southwest of India with a population of 3,50,000, and a member of the South Asian Association for Regional Cooperation. It receives scant attention in the Indian media. Maumoon Abdul Gayoom ruled the Maldives as president with an iron fist for 30 years and enjoyed India's support, to the extent that Rajiv Gandhi as prime minister helped him to thwart a coup attempt in 1988. Some years later, when P.V. Narasimha Rao was prime minister, Rao turned a blind eye to Gayoom sending secret agents to India to spy on suspected political opponents. Unlike the United States of America and the European Union, which claim that their foreign policy is based on universal values they hold dear but whose record is replete with damning evidence to the contrary, India has never taken an evangelical position in championing the cause of democracy abroad when this comes into conflict with its perceived strategic interests. On the whole, this has served the nation well. The dilemma previously faced by New Delhi in seeking good relations both with Aung San Suu Kyi and the Myanmar army junta over the last couple of decades has now returned to confront India in the Maldives, where Gayoom's half-brother, Abdulla Yameen (picture), who became president in 2013 in a controversial election, seeks to entrench himself with draconian powers of exceptional severity even by third-world standards. And as with Myanmar, the presence of China in our neighbourhood plays a significant part in fashioning New Delhi's attitude. As the dust settles following the so-called September 29 “surgical strike” which witnessed the publicly acknowledged employment of Indian special forces across the Line of Control (LoC) for the first time in over a decade, it is useful to take stock of the larger implications — what the operation does and does not mean for India’s broader strategic dynamic with Pakistan. Any public discourse on strategic culture will only be meaningful when a nation reaches a minimum level of economic prosperity and citizenry, at large, do not have to worry about basic subsistence. India is on that cusp with a vibrant middle class and a huge educated youth bulge that will soon be interested in more than just politics, sport and basic entertainment. In the backdrop of the recent surgical strikes by Indian Special Forces on terrorist camps across the Line of Control (LoC) with Pakistan, there is a need to assess whether India’s strategic culture is finally emerging from the closet. What then is strategic culture from a common citizen’s perspective in a democracy like India? Put rather simply, it is what a nation and its people collectively feel about myriad issues that affect their immediate, medium-term and long-term existence and evolution. These feelings are then structured around ideas, thoughts, writing and oral articulation to form what can be loosely called a ‘culture’. When this culture is given direction and purpose, first by the strategic community and then by the apex political authority, it becomes ‘strategic culture’ and gets focused towards the attainment of core national interests. India has finally broken out of years of paralytic indecision and inaction on Pakistan’s proxy war by staging a swift, surgical military strike across the Line of Control — a line it did not cross even during the 1999 Kargil War. Although a limited but unprecedented action, in which Indian paratroopers destroyed multiple terrorist launchpads, it will help to dispel the sense of despair that had gripped India over its prolonged failure to respond to serial Pakistan-backed terrorist attacks. At the same time, the action represents a loss of face for Pakistan’s all-powerful military, which was quick to deny any such strike. The denial, however, will carry little credibility even within Pakistan, given the military’s long record of refusing to own up to its own actions — from sending raiders into Jammu and Kashmir in 1947 and staging Operation Gibraltar in 1965 to sending light infantry soldiers into Kargil in 1999. When the Pakistani military even denies training and arming terrorists for cross-border missions, how can it admit that Indian paratroopers targeted terrorist launchpads it maintains? Still, a one-off surgical attack can do little to help reform the Pakistani military’s conduct or deter its rogue Inter-Services Intelligence agency from staging more terrorist strikes on Indian targets. The critical question to ask is whether India, having shaken off its diffidence, will be willing to stage more raids by its special forces across the LoC — not immediately, but in the months to come, so as to forestall terrorist attacks by keeping the Pakistani military off balance. However, the proxy war by terror is unlikely to end without India imposing significant costs directly on the Pakistani military and the Pakistani state. Militarily, that is a challenging task. In general, the purpose of any major military action ought to be twofold: to inflict unbearable costs on the enemy; and, if the action escalates to a full-fledged war, to decisively defeat the foe on the battlefield in order to impose peace on it on one’s own terms. For India, reclaiming its Indus leverage is a cheaper, more-potent option to reform Pakistan’s behaviour than fighting a war. From Brahma Chellaney, Water: Asia’s New Battleground (Washington, DC: Georegetown University Press). Be careful what you wish for: Not content with Pakistan enjoying a water-sharing arrangement with India that is by far the world’s most generous, the country’s Senate passed a unanimous resolution in March that declared: “This House recommends that the Government should revisit Indus Waters Treaty (IWT), 1960, in order to make new provisions in the treaty so that Pakistan may get more water for its rivers.” Little did the parliamentarians know that India would heed that call by revisiting the pact, which lopsidedly reserves for the lower riparian 80.52% of the total waters of the six-river Indus system, or 167.2 billion cubic metres of the aggregate 207.6 billion cubic metres average yearly flows. A naïve India, thinking it was trading water for peace through the IWT, even contributed $173.63 million for dam and other water projects in Pakistan. Is Pakistan Heading Toward a Coup? A week ago, banners requesting the military’s takeover of the country were put all across Islamabad, Pakistan’s capital. The banners were read as asking the military chief, General Raheel Sharif, to impose martial law in the country. On Sunday, Imran Khan, the leader of the Pakistan Tehreek-i-Insaf (PTI) said that “the people will celebrate and distribute sweets if the army takes over the country.” Imran Khan’s party runs a coalition government in Khyber Pakhtunkhwa province of Pakistan. About two weeks ago, the United States Senator John McCain reportedly gave a statement (the authenticity of the report is unclear), asking for General Sharif’s extension as the Chief of Army Staff (COAS) which is due to complete later this year. The U.S. State Department deputy spokesperson Mark Toner a week ago refused to either acknowledge or deny the context of the Senator’s statement. Besides, the campaign to invite the military for a direct rule by overthrowing the democratically elected government in the country has been going on since the advent of the current government more than three years ago. In the wake of afailed military takeover in Turkey, the coup debate in Pakistan has taken an intriguing turn with many warning that the latest episode of democracy in Pakistan may be nearing its end. The Pakistan army has been continuously selling the idea of ‘insecurity from India’ among the people, giving defence the top most priority while relegating critical issues like education and health to the bottom. Pakistan has been continuously and successfully perpetuating lies through its media and books. According to their textbooks, the history of Pakistan begins with 871AD, as Islam enters the Indian subcontinent. Read the word – ‘Pakistan’ – what pops up in your mind? To me, it is ‘a rogue nation’. Recently, taking a note of the Kashmir unrest, Nawaz Sharif, the Prime Minister of Pakistan nominated his 22 parliamentarians as special envoys to visit major countries across the world and rake up Indian atrocities and human rights abuses in Kashmir. ‘An attempt to appease the disgruntled parliamentarians by sending them on a world tour’ couldn’t hide behind the Kashmir curtain, but became a laughing stock as the parliamentarians when asked about Mehbooba Mufti, Chief Minister of Jammu and Kashmir and its ethnicity and map on a live show were mum asking, “Who is Mehbooba?” The Prime Minister in fact went on to address the United Nations General Assembly 2016 with Kashmir as their main agenda, another attempt to divert the immediate public attention from core issues, such as water and energy crisis, and most importantly, the Panama leaks, Sharif’s latest dilemma. KABUL, Afghanistan — There is an end-of-an-era feel here these days. 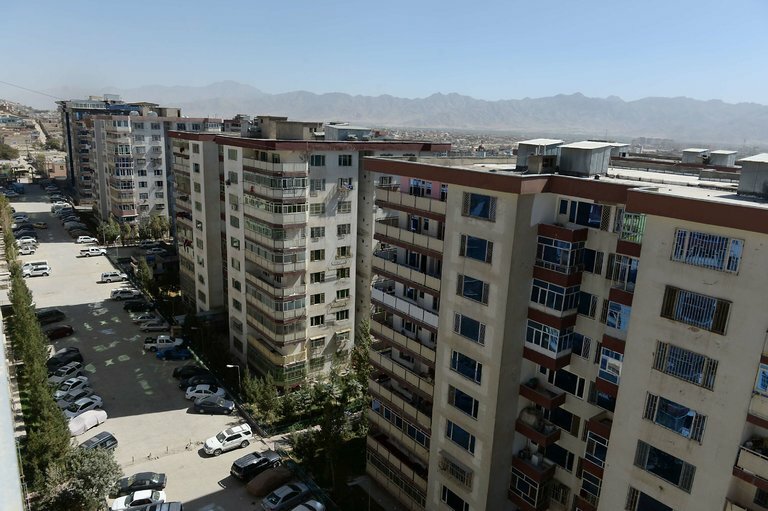 Military helicopters rattle overhead, ferrying American and Afghan officials by air rather than risk cars bombs in the streets. The concrete barriers, guarding against suicide attacks, have grown taller and stronger around every embassy and government building, and whole streets are blocked off from the public. It has been 15 years since American forces began their bombing campaign against the Taliban and Al Qaeda on Oct. 7, 2001, and sometimes it feels as if we are back to square one, that there is nothing to show for it. The recent American military drawdown has been drastic — from over 100,000 troops a few years ago to a force of 8,500 today. Thousands of Afghans have been made jobless as bases and assistance programs have closed. Meanwhile tens of thousands of Taliban are on the offensive in the countryside, threatening to overrun several provincial towns and staging huge bombings here in the capital. Afghan forces have been bearing the brunt, suffering unsustainable casualties. Communities talk of hundreds of coffins returning from the front line. Civilians have suffered no less — thousands of families have been displaced anew by fighting, and aid workers warn that their access is deteriorating. Business executives have been leaving, selling off their property, and whole families have swelled the refugee columns heading to Europe. WHY ARE TERRORISTS OPENLY RECRUITING IN PAKISTAN? More than a week after the attack on an Indian army base in Uri, close to the Line of Control (LoC), the de facto border between Pakistani and Indian-administered parts of Kashmir, on the Indian side, a familiar pattern has returned. Which is to say a group of terrorists crossed the LoC, attacked and killed Indian soldiers, Indian officials cite specific evidence they believe links the terrorists to a group domiciled in Pakistan and the Pakistani government then bristles that such an allegation would be made without a complete investigation. In this latest instance, within hours of the Uri attack, the Indian director general of military operations offered that he suspected the Pakistan-based group Jaish-e-Muhammad to be responsible. JeM was held responsible for a remarkably similar attack on the Indian army base in Pathankot, Punjab, on January 2, 2016. Later in the week, presumably based on further evidence, unnamed Indian security officials pinned the blame for Uri on Pakistan-based terrorist group Lashkar-e-Tayyaba (LeT). Pakistan has categorically rejected any blame for the attack. The Pakistani foreign office spokesman, Nafees Zakaria, offered that “Pakistan has nothing to gain” and that it was India’s “habit” to accuse Pakistan of involvement after attacks. China has blocked a tributary of the Brahmaputra river in Tibet as part of the construction of its “most expensive” hydro project which could cause concern in India as it may impact water flows into the lower riparian countries. The Lalho project on Xiabuqu river, a tributary of Yarlung Zangbo (the Tibetan name for Brahmaputra), in Xigaze in Tibet involves an investment of 4.95 billion yuan (Rs 4,966 crore), Zhang Yunbao, head of the project’s administration bureau was quoted as saying by Chinese state-run Xinhua news agency on Saturday. Terming it as the “most expensive project”, the report said the project, whose construction began in June 2014, was scheduled to be completed in 2019. It is not clear yet what impact the blockade of the river will have on the flow of water from the Brahmaputra into the lower riparian countries like India and Bangladesh as a result, it said. Last year, China had operationalised the Zam Hydropower Station, the largest in Tibet, built on the Brahmaputra river, which has raised concerns in India. Escalation dominance is seen as the first principle for success in wars between two nuclear-armed rivals, which is to avoid a confrontation rather than expand it. Escalation dominance is best defined by the American think tank Rand Corporation as, “a condition in which a combatant has the ability to escalate a conflict in ways that will be disadvantageous or costly to the adversary while the adversary cannot do the same in return, either because it has no escalation option or because the available options would not improve the adversary’s situation.” Noted American nuclear strategy theorist Herman Kahn has identified 44 steps in the escalation ladder from the emergence of a crisis to full-scale nuclear war. These include political and diplomatic actions to limited wars to a full fledged conventional war, counter force and finally counter value nuclear options. The escalation ladder in the context of India and Pakistan follows the pathway of expansion from rhetoric to diplomatic face-off, cross-border sniping attacks, Border Action Team (BAT) actions, artillery duels – counter force followed by counter people, skirmishes to localised limited war and beyond. Pakistan’s inhuman and illegal use of terrorist attacks has added another dimension as these have the facade of deniability being carried out by non-state actors; this has an element of control of escalation with Pakistan for the onus for conflagration is on India. Go Ahead. Let Japan and South Korea Go Nuclear. Japan ought to become a nuclear-weapons power as soon as possible. South Korea ought to begin a nuclear-weapons program. The North Korean state is a national gulag. The regime is illegitimate, unstable and totalitarian-and a proliferator of nuclear-weapons technology. It brings nothing to the world but misery, widespread death to the Korean people, suffering and political instability. Foolishly, the state is sustained by China, which thinks that it would be better to sustain North Korea than to facilitate its collapse, which might lead to a larger U.S. presence on the Korean Peninsula. But this thinking is politically shortsighted: the collapse of the North Korean regime would allow the Republic of Korea to absorb the North, thereby ending the entire reason U.S. forces are on the Peninsula. American forces would likely leave Korea, not grow, once the Pyongyang regime collapses. Further, it was China that gave North Korea many of the ballistic-missile technologies that it uses to threaten us and our allies. China is not timidly and reluctantly standing with North Korea; it is, as usual, actively contributing to the North Korean mess. China uses North Korea to shove the United States away from Asia and keep Western diplomacy off balance, defensive and uninitiated. While the United States and our closest allies fought two lengthy wars over the past 13 years—the rest of the world and our potential adversaries were seeing how we operated. They looked at our advantages. They studied them. They analyzed them. They looked for weaknesses. And then they set about devising ways to counter our technological over-match. It is a sign that, even in Europe, groups are still fighting for self-determination. The summer (at least in the Northern Hemisphere) began with an important referendum in Britain over sovereignty. It is only fitting then that summer should end with another important referendum on sovereignty, this time in the Balkans. Voters in Bosnia and Herzegovina’s Serb-dominated Republika Srpska – one of the two constituent states that make up the larger political entity – yesterday went to the polls to express their views on whether Jan. 9 should remain a holiday to mark the day Bosnian Serbs declared their own state. At the time of writing, preliminary results show voters have chosen to keep the holiday on Jan. 9. However, the fact that the referendum even moved forward is the real story here. Bosnia and Herzegovina’s constitutional court ruled that the holiday discriminates against other religious and ethnic groups in the country and that therefore its celebration should be considered unconstitutional. The constitutional court on Sept. 17 also approved a temporary ban on yesterday’s referendum. Obviously, the court’s writ in Republika Srpska is lacking. Before the ban, Republika Srpska President Milorad Dodik said the referendum would go forward anyway, and so it did. Over the last several decades, India’s security interests have moved beyond the subcontinent in response to its growing economic and geopolitical interests. This is especially evident by its increasing engagement with Africa. At the Third India-Africa Forum Summit in October 2015, India and many African nations acknowledged the potential benefits of expanded trade and economic ties, as well as greater security cooperation.1 With this recognition, and the long-standing presence of Indian peacekeeping troops on the continent, India has a notable opportunity to raise its profile both in Africa and globally. However, to do so, the country must employ a strategic, holistic approach to peacekeeping that is more in line with its current foreign policy. To bolster regional security cooperation, protect its long-term interests, and compete with other rising powers like China, India can and should add conflict prevention and mediation to its peacekeeping toolbox. The need for such an approach is most apparent in South Sudan, where renewed unrest and an unfolding humanitarian crisis threaten India’s economic, political, and peacekeeping goals. America’s political leaders have taken to describing this era as one of unprecedented uncertainty, but this is hardly the case. Globalization is either winning or has won across all the world’s regions, leaving only the question of which global “brands” (American, Chinese, Indian, European, Russian) will dominate where. President Obama and much of Washington now project the nation’s grand strategic ambitions in the direction of Asia, but they are mistaken. America’s historical scheme of integrating the world “laterally” (West to East) since World War II is largely complete, meaning these United States now enter an age of “vertical” integration (North to South) in the Western Hemisphere. This latitudinal expansion of the American System once imagined by our Founding Fathers will define U.S. foreign policy across the rest of this century. Can We Guess How Robotics Will Affect Economies In The Future? Is pessimism dominating our view of robotics in economies? Moreover, is it being disregarded that in an economy, outcomes are not dictated by technology but by economic and political institutions? Following up on my earlier post on Branko Milanvoic’ blog post, I ran into the blog site called ‘Bank Underground’. It is a platform for Bank of England economists, analysts, et al, to post their comments on various issues that may or may not agree with the official policy of the Bank of England. Very good platform, in that sense. I came across this somewhat optimistic post on the impact of robotisation. This one line, of course, does not do justice to the post which is, on the whole, quite thoughtful. It has many links. I clicked on one of them that took me to a FT Alphaville post of November 2015. In turn, it led me to a speech (‘Labour’s share) by Andrew Haldane in November 2015 and a piece by Martin Wolf in Feb. 2014. I read the latter and have downloaded the former. Above all, technology itself does not dictate the outcomes. Economic and political institutions do. If the ones we have do not give the results we want, we must change them. But, that is true of a lot of things. Most prominent is money, for example. Or, may be, fast cars. They cannot kill or destroy character or whatever, on their own. It is supposedly up to us. But, that also assumes a lot of things about human abilities at self-control that years of research have shown us to be incapable of. When main trading ended in Frankfurt on Thursday, Deutsche Bank’s shares were 1% up on the day—cause for quiet relief in another jittery week. At close of play in New York four and a half hours later, they were 6.7% down. The catalyst: a Bloomberg report saying that “about ten” hedge funds that use Deutsche’s prime brokerage had moved part of their derivatives holdings elsewhere, to reduce their exposure to Germany’s biggest lender. Bloomberg noted that “the vast majority” of clients had not budged. Deutsche responded that it was “confident that the vast majority of them have a full understanding of our stable financial position”. But the news dealt another blow to Deutsche’s already battered shares, which have been plumbing 33-year lows. Deutsche has been reeling for a fortnight, since receiving a request for $14 billion from America’s Department of Justice (DoJ) to settle claims that it mis-sold residential-mortgage-backed securities between 2005 and 2007. Policy planning requires new assumptions about migration in a densely populated world with conflict and climate change. Immigration has emerged as a key campaign issue in the elections in Great Britain, the United States, Germany, France, Austria and India. International migration, while of little demographic consequence at the global level, can be more visible at the national level, impacting population size, age structure and ethnic composition. Nations like the United States, Australia and Great Britain could expect minimal population growth – and in Canada’s case, decline – without international migration. International migration accounts for the dominant share of future population growth in many countries, especially those with low fertility rates, over the coming decades. By mid-century, for example, the projected proportions of population growth as a result of immigration are substantial: Australia, 78 percent; the United Kingdom, 78 percent; and the United States, 72 percent. Without international migration, Canadian population is projected be about 3 percent smaller by 2050. In most other developed countries, including Italy, Japan, Germany, Spain and the Russian Federation, immigration reduces the expected declines in their future populations resulting from negative rates of natural increase, with more deaths than births annually. For example, without international migration Germany’s current population is projected to decline by 16 percent by mid-century; with immigration the projected decline is halved to 8 percent. With the recent rise in concerns over autonomous weapons systems, civil society, the international community and others have focused their attentions on the potential benefits and problems associated with these systems. As sensors, algorithms and munitions are increasingly interlinked, questions arise about the acceptability of autonomy in certain critical functions, particularly around identification and selection of and the application of force to targets. These concerns span ethical, legal, operational, and diplomatic considerations. Despite wide engagement by states, civil society, international organisations and research institutions, the discussion of autonomous weapons systems is still characterised by different uses of terminology, different assessments of where the problem issues really sit, and divergent views on whether, or how, a formalised policy or legal approach should be undertaken. In the developing international discussion, the concept of ‘meaningful human control’ has emerged as one point of coalescence. Primarily, it has been used to describe a threshold of human control that is considered necessary; however, the particulars of the concept have been left open so as to foster conversation and agreement. The content of the principle must now be addressed. Does terrorism work? Richard English gives the answer. Summary: A large literature discusses the effectiveness of foreign armies and their tools against insurgencies, but few ask about the other side. Does terrorism work for insurgents? A new book by Richard English fills that gap, with some surprising conclusions. Since terrorism is a key tool of 4GW, the dominant form of war in our time, the fate of the world depends on the answer. When I am hit with news of yet another terrorist attack, I often wonder what these people hope to achieve. In a depressingly timely book, Richard English tries to answer that question for a number of important cases, in order to address the broader question of his title. First, he has to specify what would count as ‘working’, and then he has to look at the historical facts to determine what the groups he studies have actually achieved. He devotes a chapter each to al-Qaida, the Provisional IRA, Hamas and the Basque separatist group ETA, and in a final chapter runs quickly through a score of other examples. While he emphasises that terrorism is also practised by states, his subject here is terrorism by non-state actors – specifically, non-state organisations that have pursued a campaign of terrorism over a significant period of time. Space is increasingly important to the planet’s infrastructure – but it is also a potential battleground. Space is a vital part of national and international infrastructures. Since the launch of Sputnik in 1957, humanity has been using space for the purposes of communications, monitoring our environment, tracking the planets in the solar system and the stars in the galaxies, proving data for global positioning, navigation and timing, and conducting vital scientific experiments. We are increasingly dependent on the global space-based satellite constellations for the workings of the national and international infrastructure such as the piloting of aircrafts, navigation at sea, military manoeuvres, financial transactions and internet and phone communications. Space, the Final Frontier for Cybersecurity? A radical review of cybersecurity in space is needed to avoid potentially catastrophic attacks. Much of the world’s critical infrastructure – such as communications, air transport, maritime trade, financial and other business services, weather and environmental monitoring and defence systems – depends on the space infrastructure, including satellites, ground stations and data links at national, regional and international levels. Satellites and other space assets, just like other parts of the digitized critical infrastructure, are vulnerable to cyberattack. Cyber vulnerabilities in space therefore pose serious risks for ground-based critical infrastructure, and insecurities in the space environment will hinder economic development and increase the risks to society. According to a September 27, 2016 article on the website, DEEPDOTWEB.com, and posted by American Guerrilla, the University of Rochester has begun work on what they call the Quantum Enigma Machine (QEM), which they claim will be impervious to hacking and provide unbreakable encryption. The QEM will also shorten encryption keys, and, make data interception than it already is,” according to the article. AI on the Battlefield—Replacing Humans? The Pentagon’s oft-repeated line on artificial intelligence is this: we need much more of it, and quickly, in order to help humans and machines work better alongside one another. But a survey of existing weapons finds that theU.S. military more commonly uses AI not to help but to replace human operators, and, increasingly, human decision making. . . . The report from the Elon Musk-funded Future of Life Institute does not forecast Terminators capable of high-level reasoning. At their smartest, our most advanced artificially intelligent weapons are still operating at the level of insects … armed with very real and dangerous stingers. QUANTICO, Virginia --The Marines' fresh-off-the-presses operating concept deposits readers in the center of a military debrief, set at the base here in the year 2026. Company- and field-grade officers are rehashing a major effort: Operation Littoral Resolve, the largest integrated naval force operation since the 1950 Battle of Inchon during the Korean War. It's never made clear where this fictional offensive takes place, but the officers in the scenario describe operations in a dense coastal city, during which Marines must monitor social media patterns to get a sense of who's friendly and how to interact with the population. In this world, drones are everywhere providing real-time intelligence, surveillance and reconnaissance, various Marine Corps elements from dispersed small infantry elements to special operations teams to coastal riverine elements integrate seamlessly, and the emerging technology of today features prominently in the fight. "Working from our F-35 feeds, we sent up our [unmanned aircraft system] killers to take out their crew-served positions and command posts," a Marine expeditionary unit company commander reports in the debrief, referring to the new Joint Strike Fighter. "The mortar section got fire capped and was able to drop precision rounds right where the squad leaders told us to put 'em. They tapped the app and had rounds on target." Then Chairman of the Joint Chiefs of Staff Army Gen. Martin E. Dempsey addresses students and faculty at the US Naval War College, April 12, 2012. Photo via U.S. Department of Defense Current Photos. The military and the academy need each other, at least when it comes to enhancing our understanding of war. While programs such as the Minerva Initiative provide critical funding for research in the academy, the 2014 dissolution of the Human Terrain System – a program which embedded anthropologists, sociologists, and other scholars with US military units – reveals the ongoing need to foster more meaningful collaboration between the military and academia. Critically, the relationship offers mutual benefits for both groups. On one hand, the Department of Defense has the opportunity to tap into a vast pool of intellectual and methodological talent at little cost. Likewise, social scientists – whether they are empiricists or theorists – can receive approved data to fuel studies which may provide invaluable insights into the workings of conflict. Additionally, closer collaboration can increase researchers’ understanding of how the military operates and hence aid the development of useful and relevant research questions. Furthermore, DoD can deepen its understanding of population-centric conflict and improve the effectiveness of its overseas stability operations through a stronger partnership with the social science research community. During a recent field exercise, a Marine headquarters group set up an expeditionary operations center and facilities, then hung camouflage netting over every building and structure -- a time-honored Marine Corps practice that has fallen out of popularity during recent wars, in which the enemy did not possess aircraft. Unit leaders tested the effectiveness of the disguise by pulling up Google Maps for an overhead view of their location, only to discover that concertina wire strung around more sensitive sites reflected sunlight and effectively circled key targets for a notional enemy. "You've got to look at yourself, and you've got to change the way you're thinking," Marine Corps Commandant Gen. Robert Neller told an audience at the Center for Strategic and International Studies on Tuesday. To prepare for a potential future high-end conflict, Neller wants Marines to excel at low-end defense measures -- tools as simple as camouflage -- in anticipation of interference from a high-tech enemy. "We've been operating out of fixed positions," Neller said of the two land wars the Marines fought in Iraq and Afghanistan. "We have not moved across the ground, we have not maneuvered, we have not lived off the land. We've been eating at chow halls and drinking Green Beans coffee."